Aberdeen is losing a vital air link to another London airport. 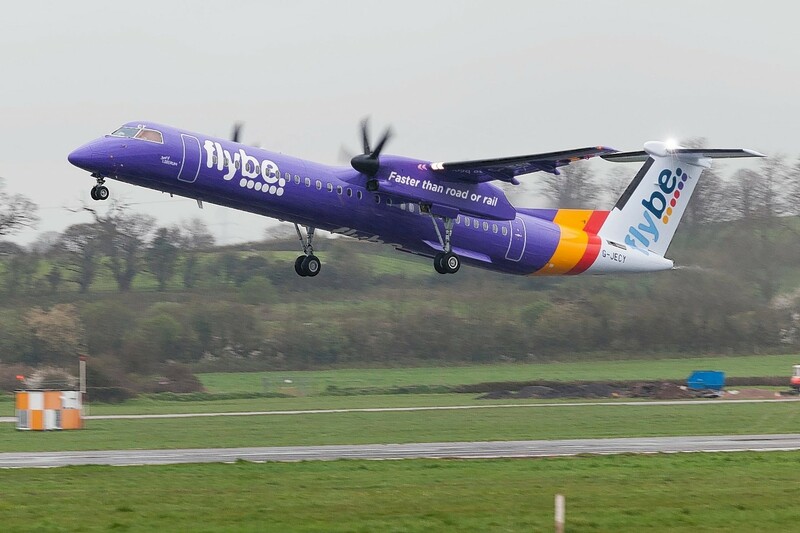 A Flybe flight was forced to abort take-off due to the cabin filling with “smoke” while it was accelerating along the runway at Exeter Airport. Shares in beleaguered Flybe received a boost yesterday after the regional airline agreed to a rebel shareholder’s “valid” request for a general meeting. Takeover target Flybe is to hold a shareholder vote in March on whether to oust chairman Simon Laffin, while the airline also mulls two separate proposals for the group. Flybe shares rose by more than 15% yesterday after the regional airline’s biggest shareholder moved to oust chairman Simon Laffin and launch a probe into its takeover. Troubled regional airline Flybe says it has already received the first £10 million in crucial funding as part of its takeover amid shareholder unrest over the deal. Virgin Atlantic could be poised for a return to Aberdeen and a debut in Inverness after it emerged it is in talks with Flybe over a potential takeover. The airline with more flights from Aberdeen than any other may soon be under new ownership. An air fare war on lifeline routes to the Scottish islands has left Loganair nursing annual losses of nearly £9 million. The Beast from the East blew a £4million hole in Flybe’s balance sheet after the regional airline was forced to cancel hundreds of flights. Flybe has issued travel advice for passengers after it confirmed the cancellations of its flight to and from Aberdeen until tomorrow morning. Fears are mounting over possible fare hikes on Loganair flights between island and mainland destinations after rival Flybe announced it will be quitting the routes. Thirteen jobs have been lost at Shetland's Sumburgh Airport following Flybe’s withdrawal from routes connecting the islands to Aberdeen, Glasgow and Edinburgh. Europe’s largest regional airline has been recognised as the most punctual in the UK in the latest Which? report. Loganair has signalled fares will rise again on flights to Shetland from Aberdeen after rival Flybe announced it was quitting the route – ending “Air Wars” which have provided a mini tourism boost for the isles. Flybe has confirmed it will pull out of routes to and from Shetland in early January - only four months after it went head to head with former franchise partner Loganair. An airliner has landed with no nose gear at Belfast International Airport. Loganair boss Jonathan Hinkles said yesterday the airline was already winning over passengers and pilots in its few weeks of operating as a standalone business. Scottish airline Loganair aims to drown out its biggest rival, Flybe, amid the fanfare of both firms starting to operate independently of each other later this week. An airline has praised the quick thinking of a captain after a fellow pilot fell ill during a flight at the weekend from Inverness. A war of words between two airlines over lifeline flights to the islands has intensified amid fears a price war could threaten the future of services. New Flybe boss Christine Ourmieres-Widener said yesterday the airline was focused on “controlled expansion” after legacy orders for new planes and a slowdown in the market sent it hurtling into the red.